Jesus is in our midst! our Lord is our bedrock! Join us for Sunday Worship and Sunday School at 9:00 AM! 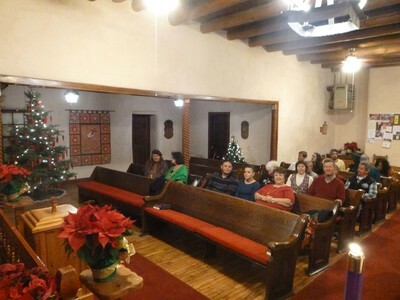 historic and growing church family that is welcoming to newcomers, including seasonal residents and visitors. We maintain a distinct blend of traditional Hispanic and Anglo cultures. We would love to have you join us for Sunday Worship and Sunday School which begins at 9:00 AM. Every Sunday is part worship, part family reunion. During the preceding six days, all of us have been scattered about living our Monday through Saturday lives. Then on Sunday - fittingly the first day of a new week - our church family gathers again not just to worship, but to catch up with each other; to talk, laugh, weep, hug...and wish each other well for the week to come. Ranchos has always been this way, and we shall continue. 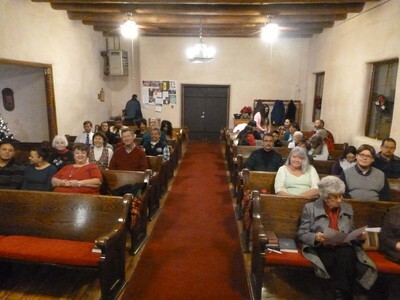 Ranchos Presbyterian Church is part of the Presbyterian Church, USA and the Presbytery of Santa Fe. 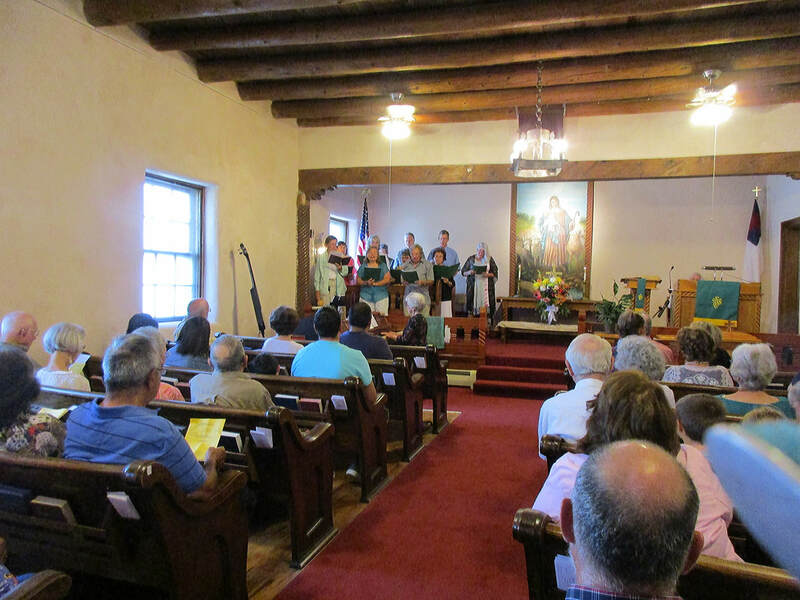 The church was organized on August 7, 1892 as La Iglesia Presbiteriana de El Rancho and celebrated our 125th Anniversary on August 13, 2017. The church was an outgrowth of a mission school established by Alice Hyson in 1884. 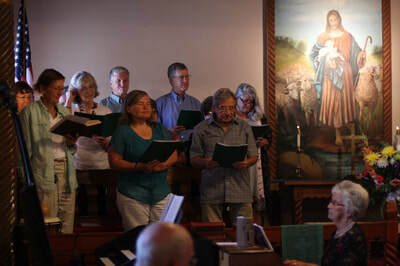 We have a Women's Missionary Society, Sunday School for children, Joyful Noise Choir, Sunday morning brunch after services, and other activities - see Current Information and the Calendar for upcoming activities. Ranchos Presbyterian Church is located on the NE corner of Hwy 68 and San Francisco Street. See the map below.